Think about adopting the MIND diet, a sensible and balanced eating plan that—as the name implies—may help protect your brain from cognitive decline. The MIND diet—rich in whole foods, including fruits and vegetables—is designed to enhance cognitive performance. It combines elements of the Mediterranean-style diet and the DASH diet. Looking for a diet that might help you preserve your brain function as you get older? You might consider the so-called MIND diet. 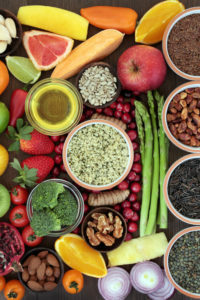 “MIND” stands for “Mediterranean-DASH-diet Intervention for Neurodegenerative Delay.” Scientists developed it by combining features from those healthy dietary patterns—the Mediterranean-style diet and DASH diet (Dietary Approaches to Stop Hypertension)—and incorporating specific dietary strategies shown to support brain health. The first study on the effects of the MIND diet, which was published in 2015, found that older adults who followed the diet experienced slower decline in thinking skills than their peers who followed only the Mediterranean-style diet or only the DASH diet. Researchers also found that, while high adherence to the Mediterranean-style, DASH, and MIND diets was associated with a lower risk of developing Alzheimer’s disease (AD), even moderate adherence to the MIND diet was enough to lower the odds of AD. In a study published in 2017, researchers found that participants whose diets were most similar to the MIND diet or a Mediterranean-style diet had better cognitive function than participants whose diets were less similar to these dietary patterns. Since the MIND diet is based on the Mediterranean-style and DASH diets, let’s take a brief look at those two eating plans first. The Mediterranean-style diet is rich in vegetables and fruits, nuts, legumes, and whole grains. Fish and seafood are the primary sources of animal protein, olive oil is the main source of fat, and wine is allowed in moderation. Poultry and dairy foods are consumed in moderation, and red meat and sweets are rarely eaten. DASH is similar to the Mediterranean-style diet in that it’s based on getting plenty of vegetables, fruits, and whole grains along with beans, nuts, and lean animal proteins. Plus, it limits fats and added sugars. Since both of these diets are based on whole foods, they’re naturally lower in sodium, added sugar, and refined grains than a traditional Western diet, which often includes highly processed foods, including sugary beverages, fast foods, and fried foods. Likewise, the MIND diet also includes plenty of whole foods—fruits, vegetables, whole grains, beans, and nuts—as well as olive oil, fish, and poultry. However, the MIND diet recommends eating certain foods at certain frequencies. 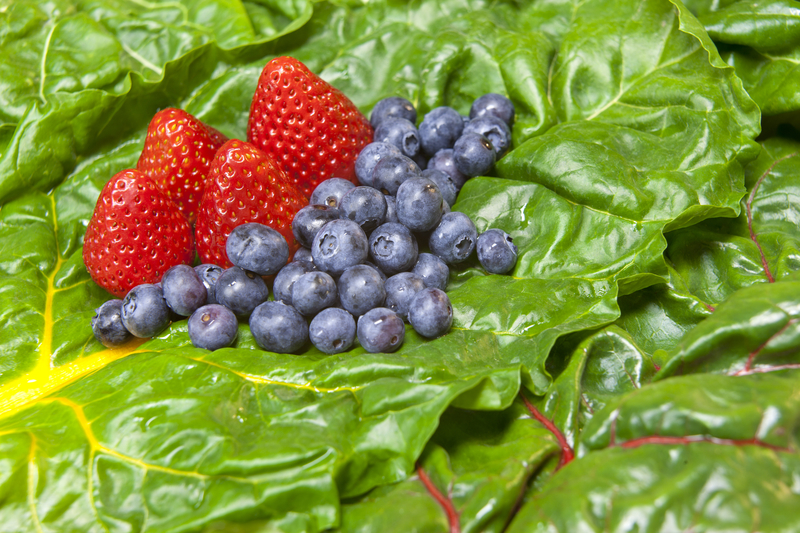 For example, it calls for at least six servings a week of leafy green vegetables and at least two servings a week of berries (especially strawberries and blueberries). 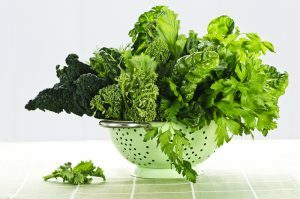 Get your green leafy vegetables—the MIND diet calls for six servings per week. The MIND diet also specifies how often to eat less-healthy foods: It calls for fewer than four servings of red meat per week, less than one serving of cheese per week, less than a tablespoon of butter each day, and less than five servings of pastries and sweets per week. Wondering how the MIND diet stacks up when it’s compared with other popular diets? In the 2018 U.S. News & World Report evaluation of 40 diets, the MIND Diet earned the #5 spot for Best Diets Overall, Best Diets for Healthy Eating, Best Heart-Healthy Diets, and Easiest Diets to Follow. Eat a green salad most days of the week. Pair it with soup or a sandwich at lunch or include it with most of your dinner meals. Portion unsalted nuts into individual servings (about a handful) in small plastic bags or containers so they’re readily available for snacking. Keep frozen berries on hand. Include them in smoothies, add them to your cereal or yogurt, or purée them and make frozen pops for healthy summer treats. Choose breads, cereals, and pasta that are made with whole grains. In most of your meals, choose fish, skinless poultry, or beans as the primary source of protein. Include a few meatless entrées each week. Try three-bean chili, lentil soup, chickpea curry, bean burritos, and grilled tofu kabobs. Do you feel overwhelmed when you think about making drastic changes to your diet? It doesn’t have to be an “all-or-nothing” endeavor. Instead, make a few changes every few weeks. Start by substituting some of the MIND diet foods for less healthful options; for example, snack on nuts rather than chips, grill tuna or salmon instead of a ribeye or T-bone, and sauté vegetables in olive oil rather than butter. Making small, gradual changes will eventually add up to a more healthful diet that will support optimal functioning of your brain—and your body, too. Have you tried the MIND diet, DASH, or a Mediterranean-style eating plan—or a combination thereof? Did you find it easy to adhere to? If so, did it help you feel healthier? Share your experience to help other readers by using the Comments section below. Martha Clare Morris of Rush University Medical Center led the development of the MIND diet. 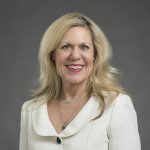 Martha Clare Morris, PhD, a nutritional epidemiologist at Rush University Medical Center in Chicago, led a team that developed the MIND diet. A study published in 2015 showed that the MIND diet lowered the risk of Alzheimer’s by as much as 53 percent in participants who adhered to the diet rigorously, and by about 35 percent in those who followed it moderately well. The study, funded by the National Institute on Aging, first appeared in the journal Alzheimer’s & Dementia: The Journal of the Alzheimer’s Association in March 2015. All the researchers involved in the MIND diet study were from Rush University Medical Center except for Frank M. Sacks, MD, professor of cardiovascular disease prevention, Department of Nutrition, at the Harvard School of Public Health. It was Sacks who chaired the committee that developed the DASH diet in the 1990s. add, aging, alzheimer, alzheimer s association, bone, brain, brain health, cardiovascular, cardiovascular disease, cognitive function, cooking, dairy, dash diet, dementia, diabetes, diet, dietary approaches to stop hypertension, health, healthy diet, healthy diets, healthy eating, heart attack, heart healthy, heart healthy diet, highly processed foods, hypertension, hypertension diet, mediterranean style diet, mind diet, nutrition, nuts, processed foods, protein, refined grains, report, skinless poultry, stop hypertension, stroke, sugar, vegetables, western diet, whole grains, wine, yogurt. Since I have diabetes, not on insulin, , I cannot eat beans or grains. Can I substitute eggs for these items? I do not care to read the same thing over and over. I would like a diet plan with exact stuff for 30 days. i can then use my reading to substitute proper stuff for the things you suggest I do not like or cannot eat. I have a vegan version of this diet. I started toward being vegetarian in 1966, when I was a college athlete. In 1968 I did a month of eating only brown rice. That was a revelation – I felt so good that it was incredible; there were many benefits and insights. (But I have never persuaded anyone else to try the diet.) I have had a cereal-based diet ever since, but I never repeated the month of only rice. I also practice yoga and usually get a good amount of exercise. And, at 71 years, I am on no medications, have perfect lab results on blood chemistry, and have practically no disease. I don’t drink alcohol, what can I substitute for the one on the MIND diet? Thanks. I mean substitute for the wine , on the MIND diet?